Debit cards with rewards are hard to find, but they still exist. If you’re flexible about where you bank, it’s possible to get perks by spending money that you already have (instead of using a credit card). But things have changed in recent years, so you have fewer, less-appealing options. First, the bad news: The days of widespread cash-back debit card rewards are pretty much behind us. As a result of the financial crisis and new laws that limit how much banks can charge for debit card transactions, the money just isn’t there anymore. Several debit cards still offer cash back, but they’re much less generous than before. In some cases, you can use rewards to get gift cards, which might be the next best thing to cash. Bank of Internet USA’s CashBack Checking account provides the opportunity to earn a generous $2,000 per month in an online checking account. But you need to keep at least $1,500 in your account, and some transactions (like online transfers or purchases from grocery stores) don’t earn cash back rewards. The standard reward is one percent, and you’ll earn half of that if your balance falls below $1,500. Discuss your spending habits with a customer service representative to find out what you can realistically expect. The Amex Serve card is a prepaid debit card that has an option for cash back rewards. You can earn one percent on purchases, but the cash-back feature comes with a $5.95 monthly fee—so you need to spend enough to offset the fee. Being a prepaid debit card, it’s part of a standard checking account. Instead, you “load” funds onto the card and spend from your loaded balance. PayPal’s Debit MasterCard BusinessCard provides one percent cash back on signature-based purchases (don’t use your PIN at checkout). However, the card is only available for PayPal business accounts. PayPal offers several cards to businesses and consumers, but your personal debit card won’t earn rewards. Learn more about the various cards available from PayPal. Credit cards are really your best bet for getting cash back. But those cards may be hard to qualify for, and they are typically more expensive. For more debit card ideas, read on. Points-based rewards allow you to accumulate “points” when you use your debit card. You might earn one point for every dollar you spend, or the formula might be less generous (such as one point for every five dollars, for example). Points are not the same as cash—so you can’t expect to spend one point for one dollar’s worth of value. However, you can redeem points for things that you’d otherwise spend money on, so you have the opportunity to save cash. Relationship rewards give you certain perks with specific companies. For example, your debit card’s rewards program might consist of discounts when you shop at selected stores and websites. Again, you save money, but you don’t have as much choice about where you spend your money if you want to earn rewards. That said, if you know where you spend significant amounts (and therefore where you’ll get the most mileage from discounts), these reward programs can save you a lot of money. Key Bank allows you to earn points whether you sign for debit card purchases or use your PIN. You can also earn points when you pay bills online and complete other transactions with the bank. Rewards include gift cards, “cash back,” travel, merchandise, and charitable giving. SunTrust Bank has a Delta SkyMiles World Debit Card that gives you one “mile” for every dollar you spend (or two miles per dollar if you’re buying flights directly from Delta). Unlike some cards, SunTrust lets you earn miles whether you sign for transactions, shop online, or use your PIN. You also earn miles for paying bills online. You can, of course, redeem miles for travel on Delta Airlines. UFB Direct provides American Airlines miles. However, you only earn one mile for every three dollars you spend—and some transactions don’t count—so you need to understand your spending to decide if you’ll earn much from the account. Instead of earning points that you’ll use in the future, you can also use your debit card rewards program to get discounts and perks right away. 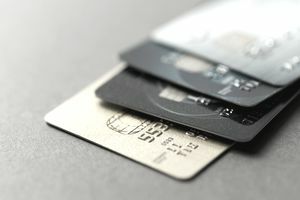 Local banks and credit unions often have rewards programs, so you might already have access to rewards in your account. Ask a banker how to get discounts when you shop with your debit card. Kroger’s 1-2-3 Rewards prepaid debit card helps you get free groceries and gas discounts at Kroger stores. When spending at Kroger family stores, you can earn over one percent, while purchases elsewhere earn around half that. Chase’s 404 Disney Visa Debit Card provides discounts on merchandise and tours at Disney properties, as well as a few other perks. It might not be worth switching banks for these perks, but if you’ll bank with Chase anyway (or if you’re a real Disney fanatic), it might be worth your while. Relationship rewards require a bit more legwork than points-based rewards. They're only useful if you find a rewards program that really fits your spending pattern and your life. Don't just pick a bank based on a vague mention of "rewards"—verify that those rewards actually help you. For example, if you spend a lot on gas, find a debit card with gas-related rewards. As you might imagine, there are always restrictions and limitations that make these rewards less rewarding. Be sure to read the fine print to find out if you’ll get what you expect. Take a close look at how you use your card and compare carefully with the terms and conditions of your bank’s rewards program. Accumulating points: How quickly do rewards add up? You might earn one point per dollar spent, or it might take five or six dollars to earn a point. Sometimes you’ll earn more by spending within specific categories (buying gas or groceries, for example). Now, think about how you use your card. Will you ever accumulate enough rewards to benefit? Will accumulating points change your behavior and spending in a way that hurts your finances? Expiration: Find out when your rewards expire. Use that information, along with your understanding of how you accumulate points, to estimate whether or not you’ll really be able to get rewarded. Points might expire in just a few years—just when you’re almost able to get something of value. Caps on points: Is there a limit to the number of points you can earn in a certain period (per month or year, for example). You might spend a lot each month or have a significant expense coming up, but you might not be able to take full advantage of that spending. Maximum cash back: If you earn “cash back” find out if there’s a maximum you can receive. This might be a limit every year or every quarter, so you’ll have to time your purchases if you’re approaching the limit. A card with these limits can make other (non-cash-back) rewards programs look more attractive. Fees: Rewards cards are more likely to come with fees (annual fees, fees to use your rewards, fees to make purchases, and more). The rewards you get obviously have to outweigh the fees.